There are only four train stations in Japan with the word koi (meaning “love” in Japanese) in their name. One of these is located in Chizu Town in Tottori Prefecture. This site was renovated as “the station where you can find love” as part of the Koi Station Project. The benches, pillars and garbage cans in this station are all pink. 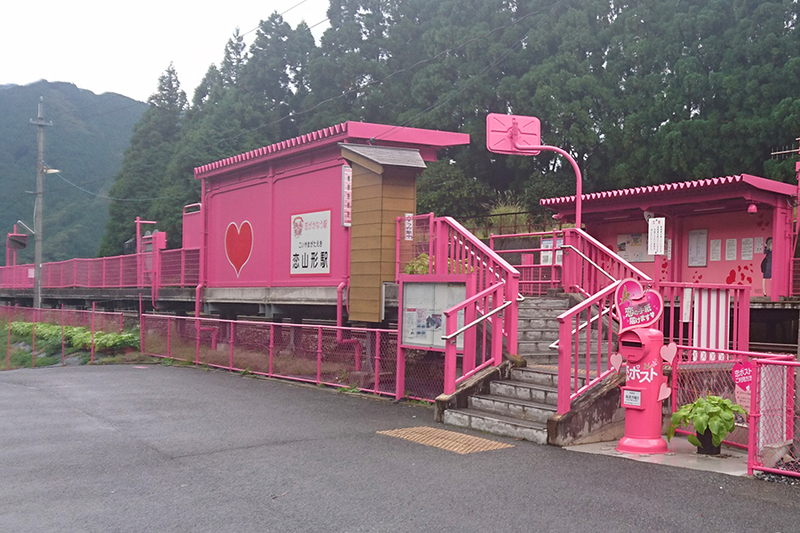 In fact, the whole station is clad in pink. In addition, the station name plates and platform boarding information signs are in the shape of hearts. The station has also installed a heart monument where you can put up heart-shaped ema (wooden plaques) onto which you can write your wish at the number one boarding location.